Q: We are renting a house for a week. Do we need to bring food, etc. with us or can we buy what we need on Beaver Island? A: Beaver Island has a modern 14,000 square foot Spartan store and two handy convenience stores. There are two gas stations, a hardware and building supply store, a spa and many gift stores and recreational businesses. Restaurants range from family fast food to outstanding casual dinning. Q: What about medical care? Is there a doctor? What happens if someone gets sick? A: Beaver Island has a modern well equipped Rural Health Center staffed by two experienced Nurse Practitioners who have 24 hour access to emergency physicians on the mainland. Physicians visit monthly. Care is available 24/7. We also have an outstanding Emergency Medical Service (EMS) and Fire Department. The EMS response time is faster than in most cities. In the case of serious illness or injury charter flights to the mainland are available including an Air Ambulance. In a worst case weather scenario the United States Coast Guard can send a helicopter from Traverse City. Excellent hospitals are located in Charlevoix, Petoskey, and Traverse City. Q: Can we see Beaver Island in a day? Can we walk or bike around the island and see everything? A: The Island is about 13 miles long and 6 miles wide, about 54 square miles in area. There is a lot to see and enjoy. You can get a taste of Beaver Island in a day. The Boat Company offers tours, and a flight from Charlevoix will get you to the Island in only 15 minutes. If you plan a couple of days or a week you will not be disappointed. You can bring your car or bike on the ferry. Both cars and bikes can be rented here. The Harbor and village are at the north end of the Island and some beautiful beaches and woodlands are at the south end. Bikes are great but if you really want to “see it all” bring your car or rent. Q: What kind of bike should we bring? A: The Island has several miles of paved roads and a one mile paved non-motorized path. Most of the roads are clay – gravel. The ideal Beaver Island bike is an off road type. There are many miles of “logging” forest roads that are ideal for enjoying nature on an off road type bike. Q: How much does it cost for motel room, rental cottage, food, gas, etc. A: Beaver Island is NOT expensive. A comfortable room for the night can be had for under $100 even in the summer. Homes for rent start at $600 per week. 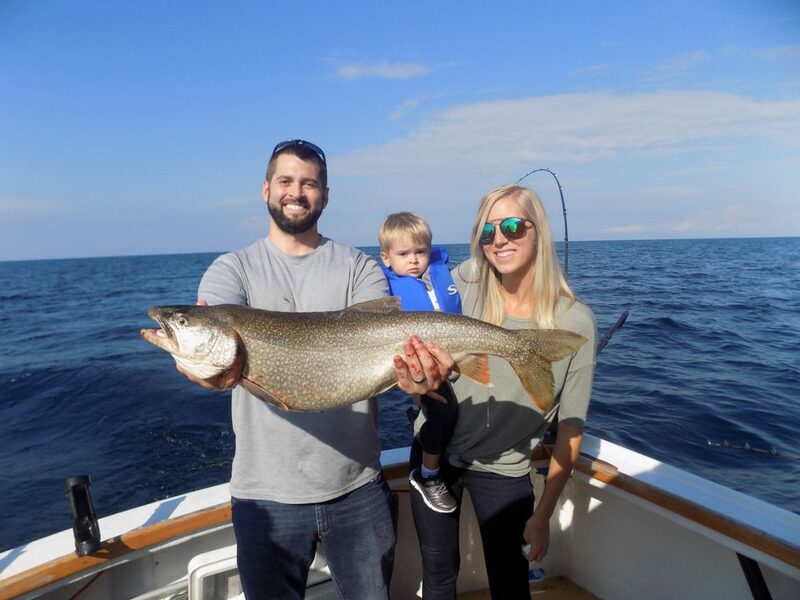 Places on Lake Michigan start at about $1,000. Lodging is less expensive than comparable vacation locations in other Northern Michigan communities. Food and fuel is a little higher because of transportation costs. Beaver Island has historically been a great middle-class family vacation destination, and it still is. A: Summer is the most popular time to visit and when most families chose to come. But many locals and regular visitors consider spring and fall their favorite. Beaver Island’s fall colors are spectacular and occur a little later than on the mainland because of the temperature moderation brought about by Lake Michigan. The big lake remains warm enough for swimming well into September. Some lodging “bargains” are available in the spring and fall. Q: How are the bugs on the Island? When is the fly season? A: The Beaver Island insect population isn’t significantly different than any other destination with a similar environment and climate. Flies vary by location and time of day based on numerous factors. There is no “fly season” like in some parts of Canada. The population of insects and others animals on Beaver Island is much like other locations in northern lower Michigan of about the same latitude. Q: Will my cell phone work on Beaver Island. A: It depends on your service provider. Many cell phones work very well. Others offer little or low levels of service. AT&T and Verizon have invested in antennas serving Beaver Island. Service continues to improve and Island wide coverage is coming soon. Beaver Island is located about 30 miles north of Charlevoix MI and the zip code is 49782. Your cell service provider should be able to answer your service questions. Q: We need to use the internet for email etc while visiting Beaver Island. What is available? A: Currently free wireless internet is available right across from the ferry dock at the Community Center. They also have public computers. You can connect at the Public Library and they also have some public computers. On Main Street the Shamrock, Beachcomber and Harbour Market coffee shop offer free Wi-Fi and the Chamber of Commerce broadcasts a free connection on Main Street as well from the office on the Municipal Marina property. Some accommodations providers also offer service with more coming on board all the time. Check their listings found in the left column on the home page. Q: Can I bring my off road vehicle (ORV) to Beaver Island. A: Yes you can. They are subject to the same Michigan laws as on the mainland. Beaver Island is in Charlevoix County, and pursuant to state statute and county ordinance ORV’s may be operated on the far right of the maintained portion of county roads. The Island community asks that ORV’s not be used for regular transportation on Main Street in the “downtown” area. They may be operated on private property only with owner’s permission, and may not be operated on beaches, dunes or other public property. There are no designated public ORV trails on Beaver Island. Q. Are dogs allowed on the ferry, plane, campgrounds etc? Some rental property owners allow pets. You should check with them during the reservations process. Have a different question about visiting Beaver Island? Contact the Chamber of Commerce and we will do our best to answer.